!THIS PROMOTION HAS NOW ENDED! Due to the increased load on shipping organisations at this time of year, and the size and shape of these items, we have had to end this promotion. Where orders have already been placed, we will do our best to ensure we fulfil our customers expectations and communicate any further information as the situation develops. This does not effect our bike delivery service which is still fully operational. All small packages will continue to be delivered by our trusted provider, DPD. We are working on another great promotion that will start tomorrow as soon as we can decide what to do... Any ideas of how to find the silver lining. We've got something amazing for 100 lucky riders in today's special offer. 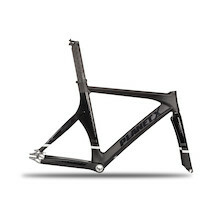 Planet X made its name by bringing you the very best carbon road frames and wheels at prices that previously seemed impossible- well today we've put together a deal that's simply out of this world. Be one of the first 100 customers to buy one of our selected carbon fibre road frames and we'll give you a set of carbon wheels completely free! That's the deal, there's no catch, we want you to feel what it's like riding a top flight carbon fibre frame with a high-end carbon wheelset. Obviously stock selection is limited on some of these items so once they are gone they are gone- don't delay. We haven't forgotten about our loyal steel following; if you think steel is real we've got a deal for you too. 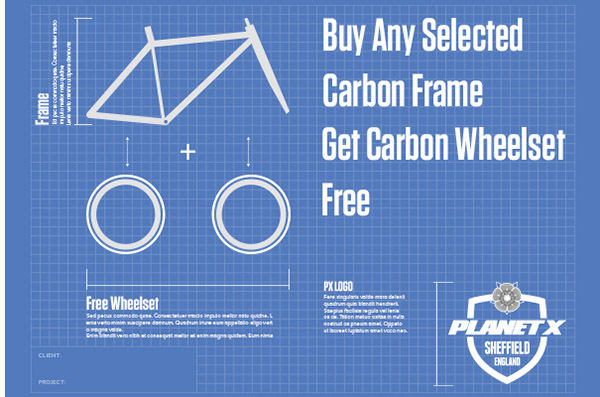 You can choose from any of our hand brazed, Viner Record steel frames and still get a pair of carbon wheels absolutely free. Of course with a lovely new frameset and brand new carbon wheels you're bound to be thinking about building up a new bike and we have thousands of drivetrain components, accessories and finishing kits items to help you complete you dream build. You can save up to £549.99 with this deal, so dive in before they are all gone. This offer is strictly limited to the first 100 customers. Please click below to see the frames and wheelsets that are included in the amazing offer. 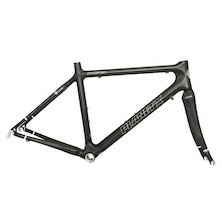 Click here to view all our frames. 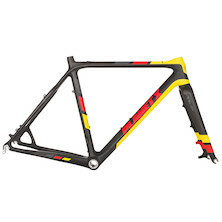 Each frame that is eligible for this deal is highlighted with a red flash. The list of wheelsets included in this deal is displayed below. Taking advantage of this offer is easy you can either chose your frameset first and add it to the basket followed by your choice of wheels, or you can select one of the wheelsets from the list above, add that to your basket and then add one of the eligible framesets. 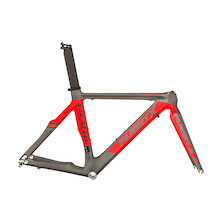 The calculation of the price reduction is automatic and will take place as soon as you place an eligible frameset and wheelset in your shopping basket.